Ideal for persons with biting reflexes and limited coordination. All the features of Good Grips® cutlery with a Plastisol™ coating that protects teeth and lips from injury. 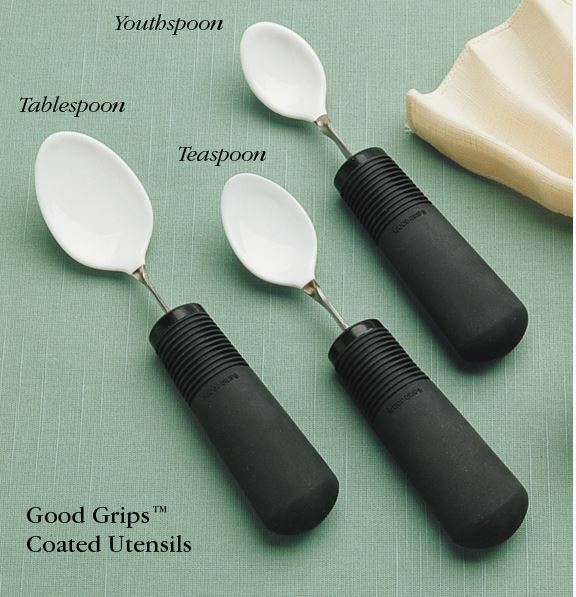 These Good Grips® Coated Spoons have special built-up, non-slip, bendable handles. Ideal for clients with spasticity, limited hand-to-mouth reach or impaired hand control. Can be used with the Goodie-Strap™. Hand washing in cold water will prolong product life. 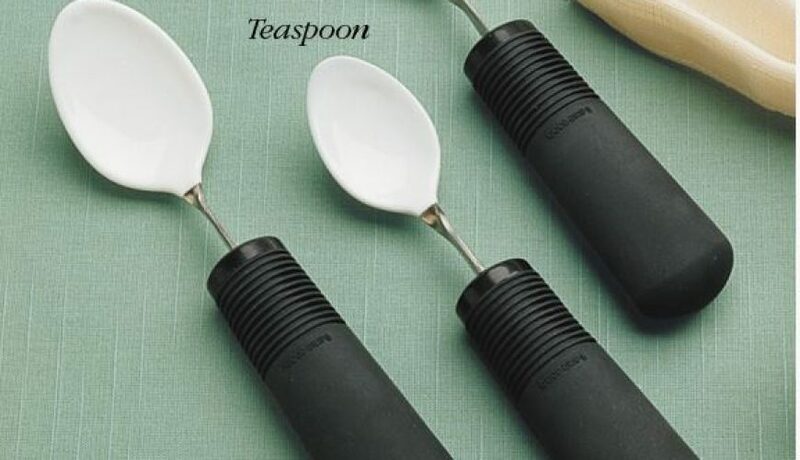 Not recommended for those with heavy biting reflexes.